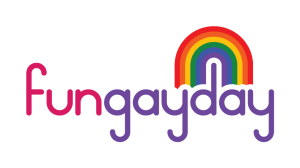 The FunGayDay Foundation was established after the success of GayDay@Efteling. The purpose is to organize one or more events per year. FunGayDay is a non-profit event for “LGBT etc.“, so for all lesbians, gays, bisexuals and transgenders, but also for the “etc.”, so everyone who supports the LGBT community and who just likes to participate in the event. In particular, the target group includes young people, LGBT with a physical or mental impediment, LGBT with an ethnic background and “pink seniors”. Dresscode for FunGayDay is RED (like at Gay Days Disney).